1. Make sure you're in the right setting. Your picture’s background matters and is just as important as the subject and the foreground. A chaotic background could be a distraction and interfere with the perfect selfie creation. We recommend posing in front of an appealing coloured background or, if you can, a breathtaking landscape. And look out for photo-bombers—believe it or not, they’re out there. 2. Frame the picture well. Your nose should align with the centre of the lense. Angle your face slightly upward or turn your head to your best side. If you’re taking a picture with your best mates, bring the camera up high at arm’s length and point it down toward all of you. 3. Take advantage of your instax's high-performance flash. 4. Utilize the various instax modes. The selfie mode on the mini 70 captures the appropriate brightness and shooting distance for self-portraits to take the perfect selfie. The double exposure mode on the instax neo 90 mixes two photos when pressing the shutter which gives you an artistic print. The orange lamp on the classic mini 8 will turn on, which indicates the timer is activated and you can then get into position to take a great selfie. 5. Show off your favourite poses. Test different looks, styles and facial expressions. Have fun with it. All of your friends and followers will be envious of how professional and creative your instax instant photo is. Good luck! Fujifilm instax cameras help you take amazing selfies. 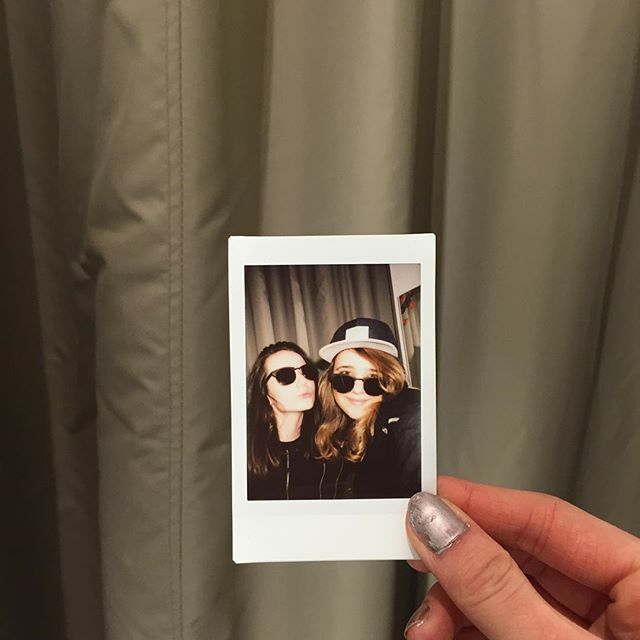 Show us some of your instax selfies in the comments below and on our Facebook page!